How’s That Tax Cut Working Out? 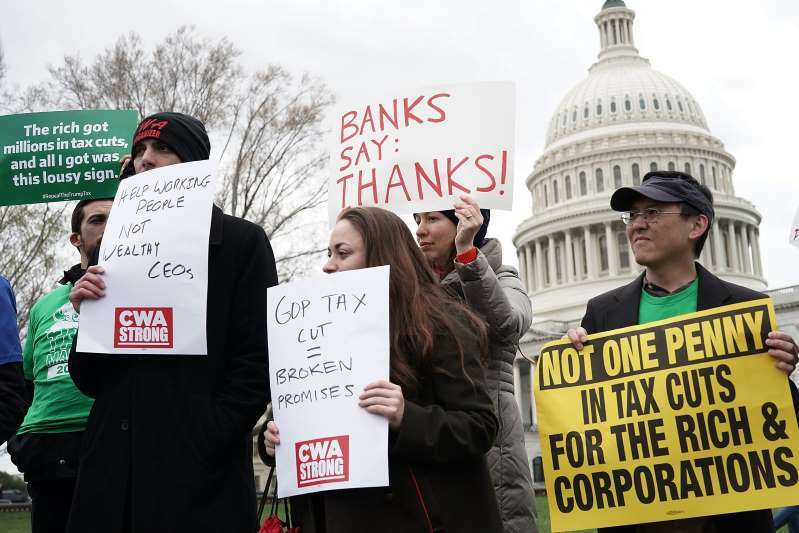 © Alex Wong/Getty Images A protest in Washington on April 17 was tied to the scheduled deadline to file income tax returns. True, business investment as a share of G.D.P. is up slightly over the past year, but it’s still well below its level before the financial crisis — let alone the heights it reached in the 1990s. Is it just too soon to expect results? Are businesses getting ready to ramp up investment, so that we’ll see them laying out the big bucks in the near future? Not according to a survey by the Federal Reserve Bank of Atlanta. A vast majority of businesses say either that the tax law has had no effect on their investment plans, or that they are planning only a modest increase. Politics - U.S. Daily News: How’s That Tax Cut Working Out?